The boys are coming back. squirming. The word is out. Opinions polls begin to slide. but it was the right patriotic song. Getting ready for a fall back position. Sneak the retreat into a late night edition. so that must make it right. straight on the half track. It is always compelling when I see this photo...sadness that cannot be explained...because there is no explanation. So very true. 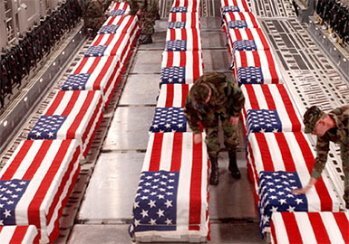 The ones who push for war are not the ones who fight and die in war. Here we are in the 21st century and humanity has yet to learn that wars do not acheive anything.